Long gone are the days when Chinese smartphones were synonymous with poor build quality and sluggish performance. Today, the four major Chinese smartphone manufacturers collectively sell almost as many handsets as Apple and Samsung, and they will likely outsell them in the near future. Brands like Huawei, OnePlus, or Oppo realize that it’s not enough for their products to perform just as well as the established brands—they must be better. As such, Chinese high-end smartphones offer a fantastic value and terrific features while still being very affordable. It’s estimated that Huawei sold over 140 million in 2016, selling 10 times as many phones as Apple in Finland, according to research firm IDC. Despite Huawei’s enormous success in China, Europe, and Africa, Huawei smartphones capture less than 0.4% of the U.S. market, mostly for geopolitical reasons. What’s behind Huawei’s global success? Quality, innovation, reliability, and excellent value, among other things. 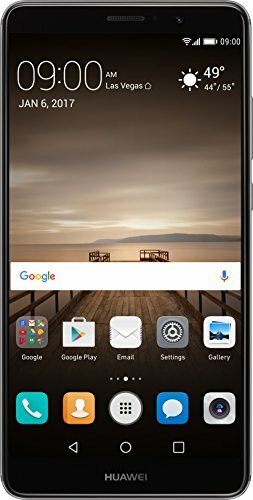 Their current flagship smartphone, the Huawei Mate 9, perfectly exemplifies what Huawei is all about. It was co-engineered with Leica, who supplied the optics for the dual-sensor rear-facing camera. The camera uses a 20 MP monochrome sensor alongside a 12 MP color sensor to capture vivid colors and fine details unlike any other smartphone camera on the market. The Mate 9 is equipped with the Kirin 960 processor and cutting-edge Machine Learning algorithm to deliver consistent performance by automatically prioritizing CPU, RAM, and ROM resources based on user habits, according to the official website of the smartphone. The Kirin 960 is the first chipset that uses the Mali-G71 MP8 GPU, which easily handles even the most demanding games. Like most other flagship devices on the market, the Mate 9 comes with the USB Type-C reversible connector, a fingerprint reader, active noise cancellation, and the Gorilla Glass screen protection technology. Huawei’s engineers armed the smartphone with a 4000mAh battery, allowing you to remain productive much longer than your colleagues and friends who still think that Apple’s products are the pinnacle of mobile technology. 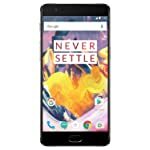 OnePlus has made a name for itself as a company thanks to its clever marketing strategy and smartphones that consistently delivered the promised user experience. The OnePlus 3T continues this tradition. 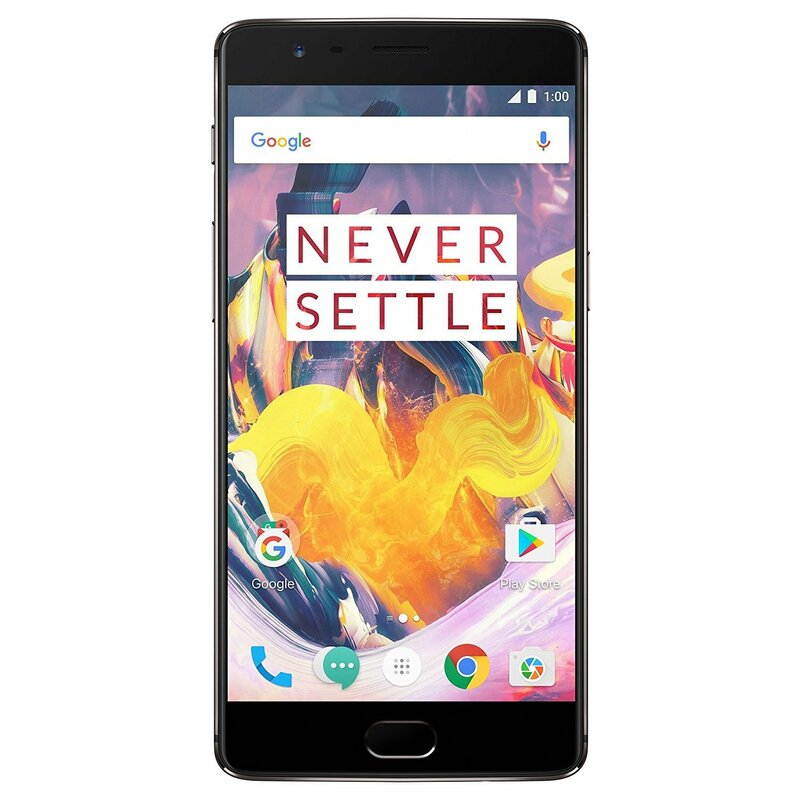 The OnePlus experience is characterized by OxygenOS, a customized version of the Android operating system developed by OnePlus exclusively for their smartphones. Described as “a breath of fresh air,” OxygenOS strives to be a cleaner, sleeker, more polished version of the stock Android operating system. The system is light on resources yet fully customizable. You can resize app icons on the home screen to your liking, add password or fingerprint verification to individual apps, navigate your device with custom gesture controls and adjustable buttons, or easily capture screenshots with the new Expanded Screenshot feature. A superb performance is guaranteed by the presence of the Snapdragon 821 chipset, Adreno 530 GPU, and 6 GB of memory. The smartphone is available either with 64 GB or 128 GB of storage space, but there’s, unfortunately, no microSD card slot for storage expansion. The battery in the 3T has a capacity of 3400mAh and supports the Dash Charge fast charging technology, which provides consistent charging speeds even while gaming. Chinese smartphone manufacturers are known for selling their devices at a loss to capture the attention of customers. 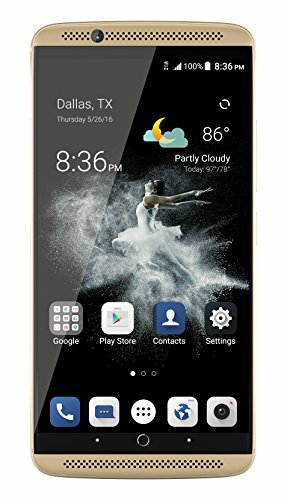 While ZTE isn’t a newcomer, it’s hard to believe that the Axon 7 isn’t at least partially subsidized. For less than $400, you can get a smartphone that many renowned manufacturers would sell for almost twice as much. The Axon 7 has a gorgeous 5.5” AMOLED capacitive touchscreen with the resolution of 1440 x 2560 pixels and the Corning Gorilla Glass 4 screen protection technology. Underneath the display is Qualcomm’s flagship chipset, the mighty Snapdragon 820. You also get 4 GB of memory and 64 GB of internal storage space. What’s more, the rear-facing camera has a resolution of 20 MP and phase detection autofocus with optical image stabilization. The camera captures truly stunning pictures even in bad lighting conditions and records 2160p video footage at 30 frames per second. Instead of stock Android, the Axon 7 features ZTE’s latest version of the MiFavor UI. This user interface is fully customizable, easy to use, and surprisingly capable. We especially appreciate how light it is on resources, even when compared to some of the most minimalistic launcher apps out there. Now here’s a smartphone from a company you’ve probably never heard of—and that’s a shame. LeEco is a total newcomer to the Western market, but they’ve already managed to earn quite a lot of praise from tech reviewers for the Le Pro3 flagship Android smartphone. The Le Pro3 uses the ridiculously powerful Snapdragon 821 chipset and Adreno 530 GPU. Besides its benchmark performance, the chipset is also known for its excellent GPS and GSM reception and efficient power-management. When you also add in 4 or 6 GB of memory, you’re really looking at a smartphone that can compete with most of the fastest devices on the market. But LeEco didn’t want to amaze customers only by tech specifications that may or may not result in a better user experience. That’s why they developed their own user interface called eUI. The interface is based on the vertically integrated Le Ecosystem, aiming to improve the interactive relationship between people and the ecosystem and break the boundaries between application and service, as described by The Indian Express. Even though the UI could still use more polishing, it already shows plenty of promise. 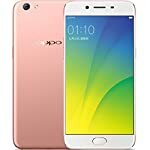 The OPPO R9S is a premium midranger with excellent rear- and front-facing cameras, beautiful AMOLED touchscreen, and stellar performance. The new Sony IMX398 sensor was developed by Sony exclusively for OPPO. It provides excellent low-light performance, fast focusing speed, and vivid colors. OPPO smartly decided to use a capable mid-range chipset, the Snapdragon 625, which provides adequate performance even when deliberately pushed to its limits without raising the price of the smartphone as a high-end chipset would. The 5.5” AMOLED capacitive touchscreen with the FHD resolution and Corning Gorilla Glass 5 is a pleasant surprise given the price of the smartphone. Also pleasant is the VOOC Flash Charge technology, which is said to top up the smartphone’s battery in around 15 minutes.